This section includes excellent civics resources that cover topics on the importance of voting, current events, and fun interactive games plus much more. "I Salute the Arkansas Flag with its Diamond and Stars. We Pledge Our Loyalty to Thee." 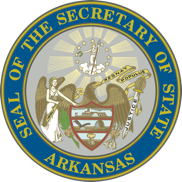 For Arkansas election resources, click here. For research results from past elections (since 1976), click here. Check out some of our favorite links to other educational resources. You'll find valuable information on topics such as the importance of voting and current events, as well as fun interactive games, and much more!